As world leaders gather in Bonn for the UN Climate Change Conference (COP 23), euronews is launching a new series focusing on meteorological phenomenon established thanks to Copernicus, a European Union programme aimed at developing information services based on satellite Earth Observation and in situ data. Our first edition takes a look at the month of October 2017, which has extended the spell of exceptional global warmth and is likely to set 2017 among the three warmest years on record according to the World Meteorological Organisation. The exceptional warmth on the Iberian Peninsula brought intense wildfires that claimed more than 45 lives in Spain and Portugal with flames ripping through the tinder-dry countryside. 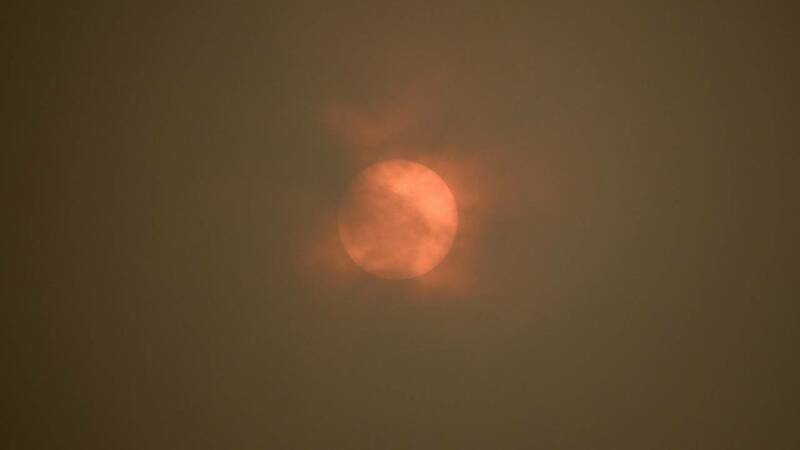 Carrying fire particles north, Storm Ophelia temporarily turned skies an eerie red colour. October was unusually warm over much of the rest of Europe too, particularly in the north. In parts of the east and south-east of the continent, temperatures were slightly below average.